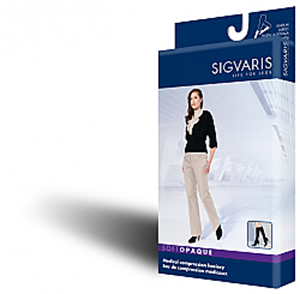 Soft Opaque Calf by Sigvaris is designed for those with skin changes, chronic venous disorders and those having a vein procedure. Made up of Soft Opaque material. Wide top band prevents the calf sleeve from rolling. Covered ith two-layered yarn for easy put-on and pull-off.